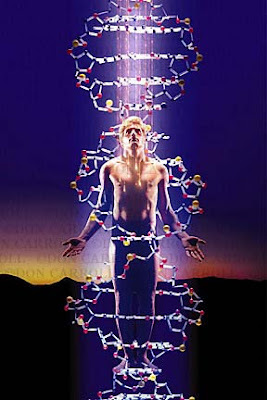 Sacred Alchemy : Healing With Monoatomic Gold ! From the royal tombs of pharaonic Egypt, to the laboratories of modern science, comes the extraordinary account of gravity defiance and teleportation in the ancient world. 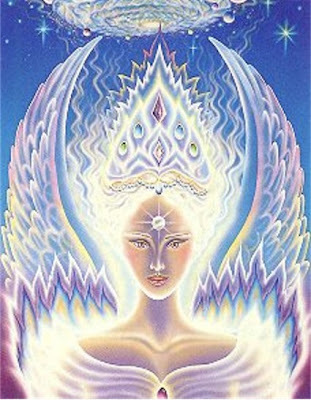 The Book of the Dead refers to a hyper-dimensional realm called the Field of Mfkzt, which is now determined as a superconductive energy field of high-spin metallurgy. Liaising with modern physicists, Laurence Gardner has ascertained that mfkzt (known today as monatomic gold) was the secret of the pharaohs' rite of passage to the Afterlife, and was directly associated with the pyramids and the biblical Ark of the Covenant, as revealed by inscriptions at the Sinai mountain temple of Moses. With the old science now rediscovered, gold is fast becoming established as a logistically placed source material to the detriment of its traditional value as a currency reserve. As Laurence Gardner details, the advantages of the revived technology are astounding, especially in the fields of medicine and space travel, but the political and social implications of IMF-approved national bullion sales could be very threatening if not contained. 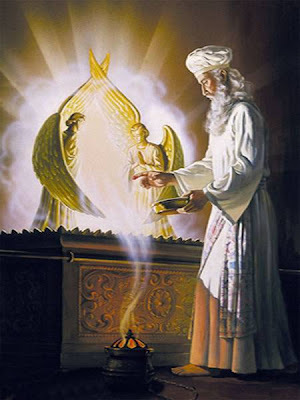 No reason is given in the Bible as to why the Ark of the Covenant was so richly contrived. It is portrayed as having awesome and deadly powers, but these are not satisfactorily explained. There is, however, no mystery to the Ark. Laurence Gardner explains that its story is wholly related to the dynastic House of Gold - the Messianic bloodline of ancient Grail Kings from the Old Kingdom pharaohs to King Solomon and the descendant Royal House of Judah. What was the Ark of the Covenant? Where is the Ark? What were its relationships to the Golden Fleece and the Philosophers' Stone of Nicolas Flamel? In fact, what is the Philosophers' Stone - and how does it work? By accessing Rosicrucian, Templar and Royal Society archives, these questions are all addressed and answered by Laurence Gardner in Lost Secrets of the Sacred Ark - thereby revealing the long forgotten secret of Royal Arch Freemasonry. In the field of quantum mechanics, NASA scientists have recently confirmed that matter can indeed be in two places at once. It is now an established fact that, through quantum entanglement, particles millions of light-years apart can be connected without physical contact. Space-time can now be manipulated; teleportation is becoming a reality; gravity-resistant material is now heralded for air transport, and virtual science has led to a greater understanding of hyper-dimensional existence. In Lost Secrets of the Sacred Ark, Laurence Gardner reveals that the keys to all this are: (a) Mfkzt - referred to by the Institute of Advanced Studies as 'exotic monatomic matter', and (b) the amazing technology of Superconductivity - acclaimed by the Center for Advanced Study as 'the most remarkable physical property in the universe'. It is clear however, from the documentary evidence of ancient times, that the attributes of superconductors and gravity defiance were known, even if not understood, in a distant world of priestly levitation, godly communication and the phenomenal power of the Electrikus. This cutting edge technology is summed up in only a few words: monatomic (or monoatomic) and diatomic elements. Classical science teaches us that the three phases of matter are gasses, liquids, and solids (but now there are the newer plasmas, condensates and liquid crystals). Some solids crystallize into lattice structures we call metals. What classical science does not teach us (because these are new and extreme cutting edge discoveries) is that there is, in fact, another phase of matter called "monatomic." Mi Sentido Pesame / Condolences To The Family and Friends of Lawrence Gardner. He was a remarkable individual and may his immortal soul rest in peace with his Maker/Almighty God.